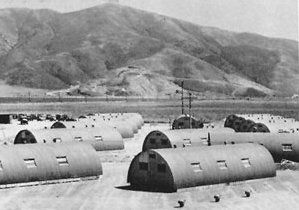 Nissen huts have fallen in popularity since their invention in WWI. To our knowledge no one is actively producing them but their essence lives on in a similar building style; quonsets. They are an arch-style building consisting of an internal frame with steel over it. The internal frame was typically steel. There was no standard design for a Nissen Hut since the design was always changing. These buildings were used extensively for military purposes during WWI and WWII. Nissen buildings provided an affordable structure, but almost as importantly it was quick to assemble, easy to transport. They were also durable enough to stand up to the strong Pacific winds and weather conditions. Who Invented the Nissen Hut? The Nissen Hut was invented by an engineer named Major Peter Norman Nissen, of the 29th Company Royal Engineers of the British Army. He designed them during WWI to fill the Navy’s need for buildings which are portable, quick to assemble, and relatively inexpensive to produce. You aren’t likely to hear about people building Nissen buildings these days. 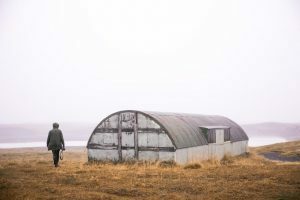 The reason for this is that people are opting for Quonset Huts. Quonsets look similar to Nissen Huts and are more easily transported. The construction is also simpler thanks to there being no internal supports.